What is the Graduated Licensing Program (GLP)? The Graduated Licensing Program (GLP) was introduced in British Columbia in 1998. New drivers start by obtaining a Class 7L (learners) on or after their 16th birthday by passing a knowledge and vision screening test at an ICBC driver licensing office. After a minimum 1 year of practice with a qualified supervisor, L drivers can take their first road test. After successfully passing the road test, L drivers are issued a Class 7N (novice) license. After 2 years of safe driving, N drivers can take their Class 5 road test and upon successful completion, receive a full privilege Class 5 license. No more Graduated Licensing restrictions, tests or L and N signs! N drivers may even be able to take their Class 5 road test after only 18 months, if they’ve taken an ICBC approved (GLP) driver training course during the L stage and met all other requirements (not at-fault accidents, tickets or driving prohibitions). The Graduated Licensing Program (GLP) driver training course is Valley Driving School’s most comprehensive driving program and includes 17-hours in class, 12-hours on-road, our 3-hour Accident Prevention Course (APC) as well as the option to use of our vehicle for the Road Test. By successfully completing this ICBC approved driving course, you are also eligible to receive two High School credits. What is the Accident Prevention Course (APC) and how does it work? The Accident Prevention Course (APC) is a closed circuit training course, exclusively completed at Valley Driving School. It exposes the new driver to the complexity of driving and navigation with added challenges and distractions that a new driver may experience in a safe controlled environment. Students will practice evasive maneuvers and quick response to emergency situations with increasing increments of speed in our secured practice lot. Special provisions in the Motor Vehicle Act Regulations allows us to conduct training for up to 3 class 7 drivers in our training vehicle at one time. Choosing a driving school can be confusing, there are many schools and training programs to choose from. Any school must be licensed by ICBC and each Instructor must have a professional driver training Instructor licence along with completing the necessary criminal and medical checks. • Flexible to your needs. Multiple office locations can offer options for dates and times for classes to meet your scheduling needs. Instructor and lesson availability will allow you to choose appointments that work for your family’s busy schedule. • Teaching more than to pass the road test. Memorizing certain areas or routes may help you pass the road test but it will not make a safe, confident driver that can drive independently. Coaching students to think independently creates a safe and confident driver who, as a result of their strong driving skills, will pass the road test. By coaching on how to make safe decisions rather than just telling students what to do, it allows the student to develop the necessary critical thinking to make the correct decisions during their lifetime of driving. Once the driving Instructor or qualified supervisor is no longer in the vehicle, has the new driver developed the ability to make their own safe and confident decisions? If a student has always been told what to do when making a left turn, will they be able to confidently and safely make that left turn while no one is there to direct them? • Offering a variety of Instructors. Are you able to request a certain Instructor or describe the type of Instructor you’d like to be matched with? If you want to change Instructors, is the school able to accommodate a change? • Consistently upgrading the knowledge and skills of their Instructors. Continual training and upgrading ensure Instructors are always up to date with all driving rules & regulations and are providing accurate information to their students. Routine evaluations of an Instructor's teaching methods provides you with the confidence to know you are receiving highest quality training sessions. • Recommendations from others. Ask friends and neighbours; have they or someone they know taken training, can they recommend a school? Why did they choose this school? What feedback or reviews have been posted online? • Providing details. A school’s cancellation policy/charges and privacy agreements should be available and will allow you to ensure your investment and information is safe. • Offering progress reports. Does the Instructor summarize the training session and provide a report for the student and/or parent to review? Lessons should be in conjunction with practicing with a qualified supervisor. Completing a progress report will help the supervisor know the areas to review to ensure on-going driver development. Whether you just obtained your learners license, have previous driving experience or have a road test coming up soon, lessons can help you prepare to become a safe, confident driver. Driving lessons can assist you during any part of your driving journey. New drivers may want to start taking training as soon as possible. Taking 2-3 lessons at the start of your L will help build a good foundation which will allow you to develop your skills over the next year with your qualified supervisor. As your skills progress, regular training and practice throughout the duration of the L, will allow new techniques to be introduced without developing any bad habits along the way. Drivers who have some on-road experience may want to build a strong foundation on their own and use driver training to fine-tune their skills or brush-up their driving habits if it’s been awhile since being on road. A driving school should be flexible to provide training at any point and our Instructors will adapt your training to meet your experience level. 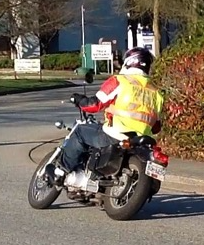 Remember ICBC recommends 60 hours of practice prior to taking a road test. WhAT ARE THE BENEFITS OF TAKING CLASSROOM COURSES? Sometimes students successfully pass the ICBC knowledge test without studying the Learn To Drive Smart Training Manual. Without reading the manual a new driver may not be knowledgeable in all possible driving scenarios and how to handle each situation. Classroom training can help bridge the gap in many areas before proceeding on-road into potentially hazardous situations. 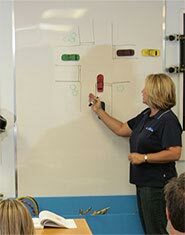 Classroom training also provides students the opportunity to ask questions about many driving maneuvers and hazards that they haven’t encountered on the road yet. During your lessons or practice time you may have never experienced a tire blowout or hydroplaning, but in a classroom setting all of the “what ifs” can be discussed. That extra information and knowledge could help you throughout your upcoming years on the road. Classroom sessions are offered monthly at our locations. Our 6-hour Defensive Driving Course (DDC) is held over two evenings or one full day while our 17-Hour Graduated Licensing Program (GLP) Course is broken up into six evenings or three full days. You are not required to take the classroom training with us as the first step. We would be happy to schedule lessons for you prior to the in-class time. We have had many students break the classroom training up throughout their programs. Our in-class sessions are flexible enough that if you skip a class or are unable to make it, you won’t be lost when you re-attend, even if taken out of order. Do I have to pay at the time of registration? Valley Driving School offers individual lessons and/or classroom courses which you may pay for separately. We also offer packages with special pricing that combine your on-road training and classroom courses. Lessons and courses can be paid for as you schedule each session. We offer a variety of training options that are flexible for any budget with no obligation. Flexible installment plans are available or pre-pay for any training. Start with individual lessons and upgrade to a package to automatically receive the discount. WILL YOU PROVIDE A CAR FOR MY LESSONS? Do driving schools provide cars? Valley Driving School does! There are a number of reasons why we recommend using a driving school car to learn to drive. One reason is that learning to drive can be tough on vehicles. Our vehicles are routinely checked and maintained, providing peace of mind while you're driving with us. Another reason to use a driving school car is that our vehicles have dual-foot controls. This means that the Instructor has access to both the brake and accelerator to step in and help if needed. CAN I BE PICKED UP FROM WORK OR SCHOOL? Do driving schools pick you up? Valley Driving School does! Most of our on-road lessons start from your home, where the Instructor will meet you and drop you off afterwards. If you would like to have your lesson start elsewhere, like school or work, we are happy to pick you up or drop you off from that location as well. Simply talk to your Instructor or one of our Customer Service Reps to arrange pick up! CAN I USE YOUR CAR FOR MY ROAD TEST? Yes. We would also be ready, willing and able to pick you up for a lesson prior to your road test so that you can familiarize yourself with our vehicle’s handling and controls while using our vehicle for your road test. A lesson will also aid in calming your nerves, polishing your skills, and provide you with the opportunity to ask any final questions before testing with the ICBC Examiner. CAN YOU TELL ME IF I’LL PASS MY ROAD TEST? Our Instructors would be happy to complete a 1-hour Simulated Road Test so they can advise you of your current strengths and skills as well as any habits that may require additional practice prior to testing.